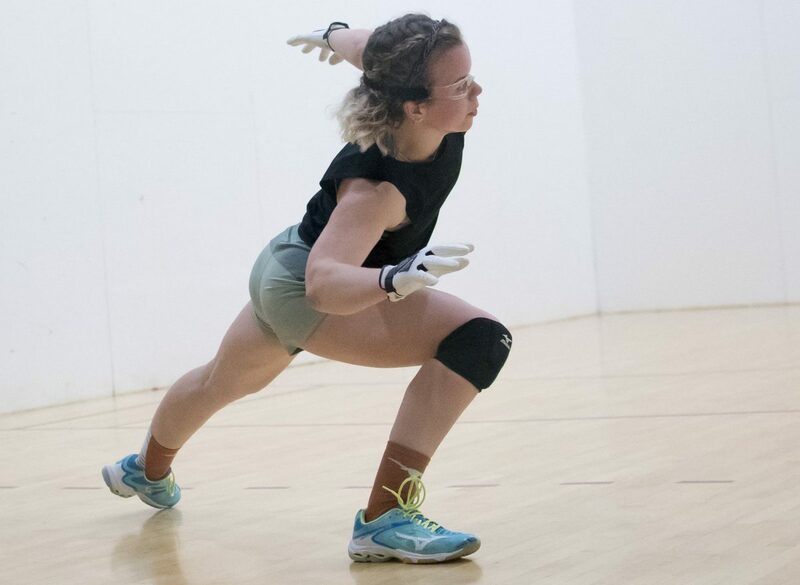 Austin, TX, WPH Press, 9/30/18- The University of Texas Handball team played host to the 2018 Austin City Handball Championships at the famed Gregory Gym, featuring the top men’s and women’s players in Texas and surrounding states. Texas State champion and former R48 top 20 Adam Bernhard, R48 #22 Max Langmack, and former R48 top 25 pro Memo Pallares headlined the Men’s Open singles field, while tournament director and future WR48 pro Kristen Hughes and her collegiate rivals Kayla Jones and Taylor Rumping headlined the Women’s Open singles field. 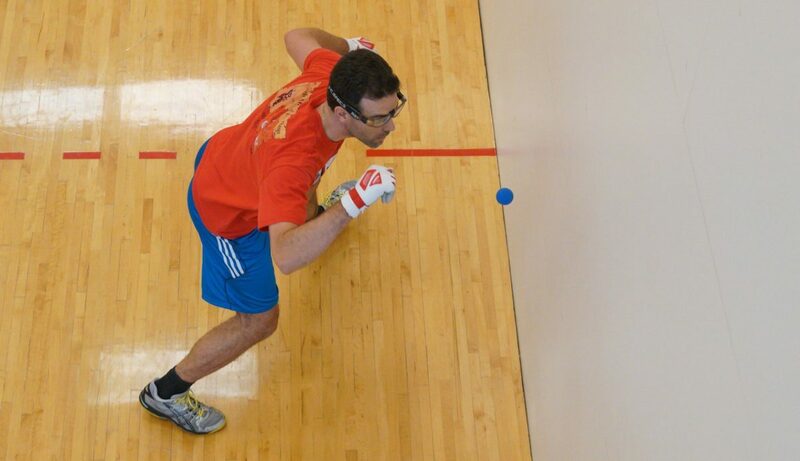 Langmack entered the 2018 Austin City Handball Championships as the top seed and advanced to the final with impressive wins against Austin’s Jeremy Aguilar and Alejandro Almada. Bernhard entered as the #2 seed, forcing him to overcome his Austin rival Memo Pallares in Saturday’s semifinal. Bernhard and Pallares staged one of their classic two-hour battles, with Bernhard failing to capitalize on match point in game two before clinching the match in the third to meet Langmack in Sunday’s final. 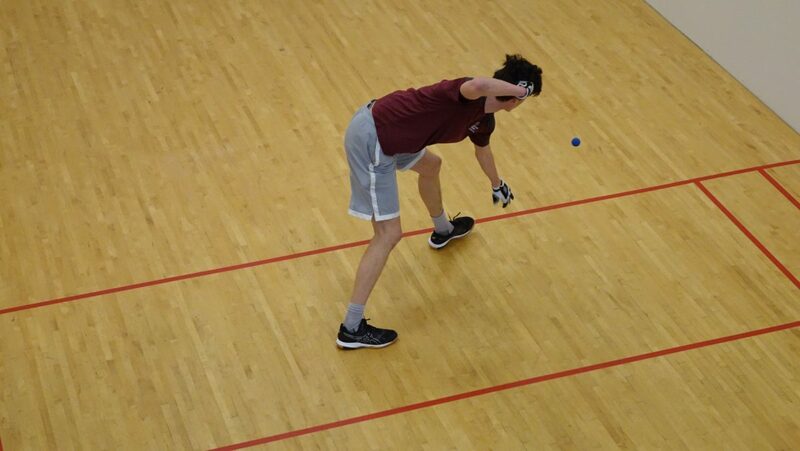 Langmack had never defeated Bernhard entering Sunday’s final, but the 6”9 rising star entered the final brimming with confidence on the heels of impressive spring and summer tournament season. “I went up 15-13 and lost 21-15, mostly on my own errors,” stated Bernhard. Bernhard charged back, tying the score at 17. “I made some adjustments to get back into the second game,” stated Bernhard. Top-seeded Kayla Jones defeated Austin’s Avery Shepherd in the quarterfinals and Christina Pecaut in the semifinals to advance to the final. “The semifinals was a frenzy, with lots of long rallies and kills,” stated WPH reporter Max Langmack. Hughes survived a close first game in the final, seizing the momentum of the match to dominate game two. “Hughes kept rolling in the final,” stated Langmack. Thank you to 2018 Austin City champion and WPH reporter Max Langmack for the updates from Austin.